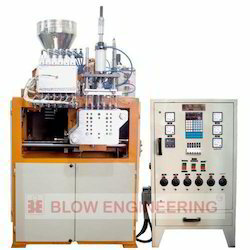 To meet divergent demands of the clients; we bring forth an exclusive range of Multi-Cavity Blow Moulding Machine. The given product is acclaimed for its high production and is capable of producing containers in multiple cavities at one time. The machine is hassle free in operations and can be availed at reasonable rates. Looking for Multi Cavity Blow Molding Machine ?